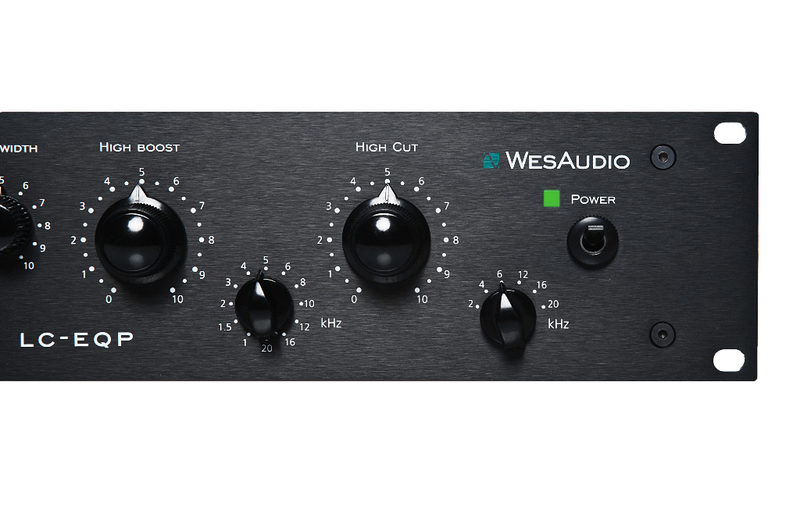 WesAudio LC-EQP – a single channel passive equalizer with a tube amplifying stage. The equalizer input system is based on a Carnhill linear transformer which matching input impedance. The input impedance is > 1.5 kohm. It Is higher than in similar class devices. As a result, the equalizer does not load the signal source, by which it is controlled. The equalization block is a passive system based on coils, resistors and capacitors. The block has been expanded with additional bands for LOW and HIGH section. The EQ section introduces a high attenuation, exceeding 25dB. A signal regenerative amplifier is a tube system, based on two triodes. The amplifier has been designed without feedback which does not distort transients. The equalizer output is symmetrical. A Carnhill transformer is responsible for output symmetrization, which provides a low output impedance. The anode and heater voltage are stabilized. 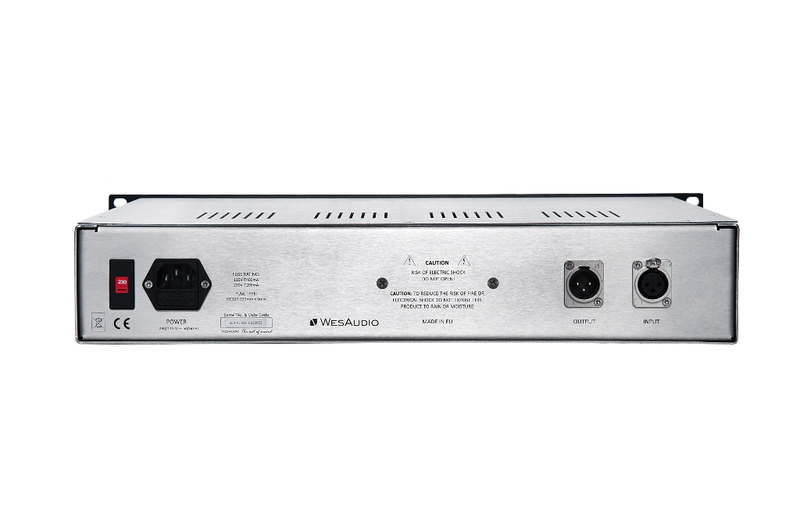 WesAudio LC-EQP is powered by alternating current 230V / 115V, which can be selected by a voltage selector. The casing is 2U rack made of 1.5mm stainless steel whereas the aluminum front panel is 4mm. LOW section has separate boost regulations and frequency cut offering six bands. HIGH BOOST section has a selection of 12 bands and a regulation of Q factor . HIGH CUT section is equipped with 6 bands. An EQ IN switch is a “True Bypass” type. Switching the equalizer is indicated by a red LED. WesAudio LC-EQP sound can be described as clean and clear with a tube nature. It is an ideal equalizer on both, single tracks and the sum. LC-EQP WesAudio handles well controlling other studio devices thanks to low output impedance. It was designed as a universal musical equalizer to use in professional recording studios.